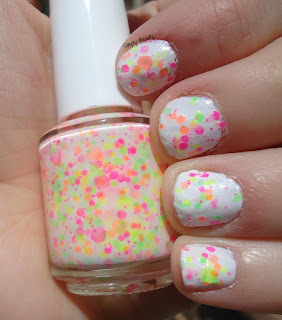 Today's polish is freaking uh-mazing. I was stoked when I saw Lush Lacquer's newest polishes that are PACKED with all kind of neon glitter. Here's 2 coats of 'Neon Lights' over 1 coat of CG's 'White on White'! 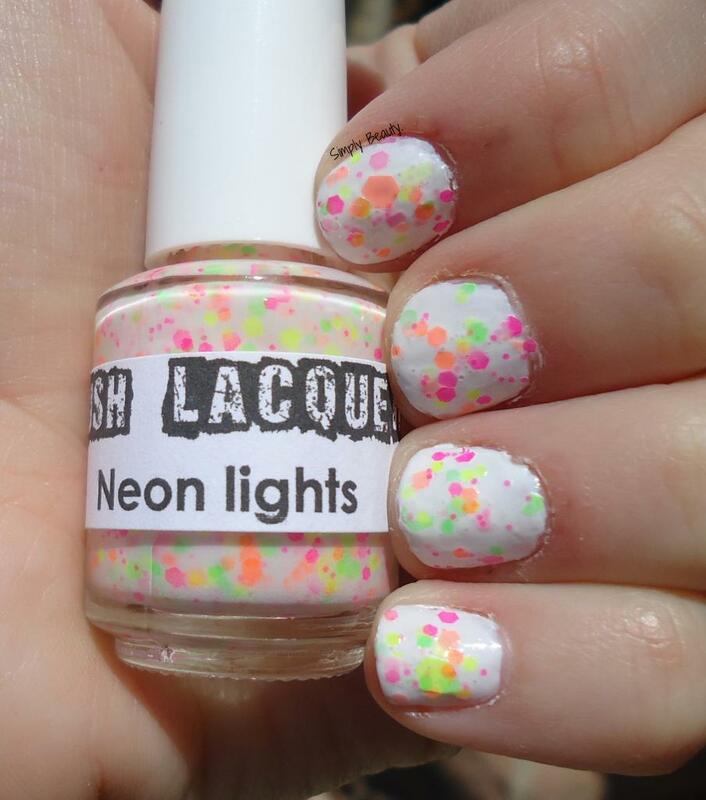 'Neon Lights' is a milky white base filled with neon orange, yellow, green, and pink differently sized matte hex glitters. ITS PERFECT. I can' even describe how in love with it I am! oooh i love this! the neons with the white make them so bright!